If you love Nutella, then you have gianduia to thank for it. Luciana Squadrilli charts the rise of this addictive combination of hazelnuts and chocolate that’s made into chocolates, spread on toast or simply eaten by the spoonful. 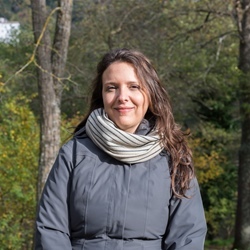 Luciana Squadrilli is a freelance journalist and author specialising in food and travel writing. 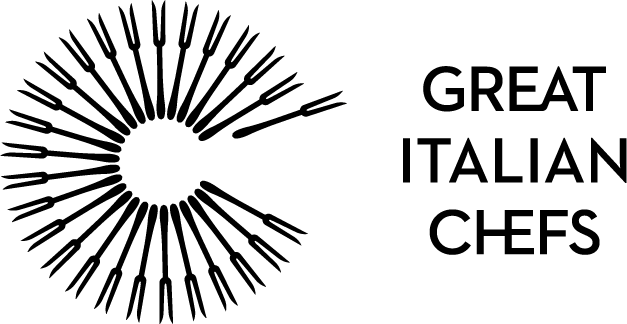 Ask an Italian what giandujia (sometimes known as gianduja) is and they could give two different answers, depending their age, where they’re from and how much they love chocolate. The word refers both to a traditional Carnival mask – from the name Gioan d’la douja (‘John of the tankard’) – and to the delicious creamy paste made of cocoa powder, cocoa butter, sugar and finely ground hazelnuts. Both of them were born in Piedmont, the northern region famous for its exquisite hazelnuts and confectionery in general (among many other culinary achievements). But it’s the chocolate paste that’s enjoyed wide and enduring fame all over Italy and abroad, thanks to its scrumptious taste (and what we’re most interested in). You’ll often see the paste made into gianduiotti, irresistible tiny chocolates in the shape of an upturned boat, individually wrapped in golden or silver tinfoil. 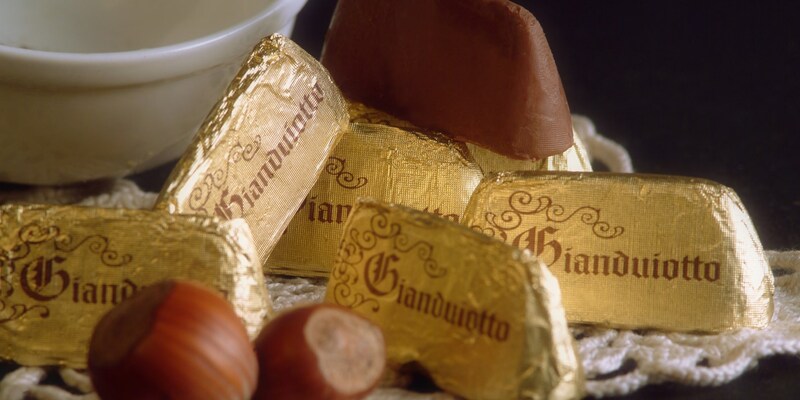 Gianduia paste was created in Turin in 1806 by local confectioners who were looking for a way to reduce the cocoa content in chocolates without affecting the flavour. This was due to the steep rise in cocoa prices, caused by a shortage after Napoleon Bonaparte banned imports of it from the United Kingdom and its colonies. The confectioners decided to mix what little cocoa powder they had with the paste obtained by grinding local hazelnuts (known as Tonda Gentile delle Langhe), growing in the area now mostly famous for its fine wines. The result was an intense and velvety paste – and an instant hit with the locals. In 1852, the chocolatiers Michele Prochet and Isidore Caffarel perfected the recipe by gently roasting the nuts before grinding them and adding almonds, to get a deeper, richer taste. Caffarel – owning a company still famous for its chocolate, now part of the Lindt & Sprüngli group – also invented the lovely gianduiotti. In 1865 these new chocolates were launched during Carnival, handed out by men in gianduia masks. Since then, gianduia and gianduiotti have been appreciated by children and grown-ups alike. The chocolates are now available in different sizes and flavours (such as milk or dark chocolate), made by large companies and small artisans, while the hazelnut paste is used as an ingredient in all sorts of confectionery products and cakes. However, the paste is most famous and consumed as a chocolate spread, with Nutella becoming a global phenomenon in its own right (although Nutella and gianduia are now quite different things).